Styrofoam cups are a convenient way to take a drink with you while on the go. However, according to Green Living Tips, a website dedicated to helping people go green, Styrofoam takes a long time to break down in the environment. It makes sense that the fewer Styrofoam cups used, the less harmful waste being put into landfills. If you are looking for an alternative to your Styrofoam cup, there are many environmentally friendly options available. MicroGREEN, a company dedicated to developing sustainable plastic alternatives to disposable containers, has discovered how to create a plastic foam cup that is recyclable. It also takes very little energy to create. The product is based on MicroGREEN's Ad-air technology, which adds carbon dioxide and heat to plastics rather than petrochemicals and volatile organic compounds, ingredients found in traditional Styrofoam cups. The cup is completely recyclable. It also creates very little solid waste if thrown away, says Earth 911, making the plastic foam cup a viable alternative to the Styrofoam cup. The primary problem with Styrofoam cups is that they do not biodegrade quickly and take up space in landfills. Earth 911 reports that one chain of coffee houses in northern Montana has discovered the value of selling their coffee and hot tea beverages in biodegradable cups rather than in Styrofoam. The cup does not use a paper jacket like most coffee houses, but instead is designed with corrugated cardboard on the interior of the cup to keep the heat inside. The coffee chain reports that the cups are cheaper than other cups and have a lower toxicity level than traditional to go cups. Accordint to Earth 911, 23 pounds of waste per year is created from each person who uses a disposable cup everyday. A reusable coffee mug can eliminate this much waste and still provide a useful way to drink hot beverages. Purchase a coffee mug that is attractive, shows off your style and fits your individual needs. There are many different materials used to make reusable coffee mugs including stainless steel, aluminum and hard plastic. 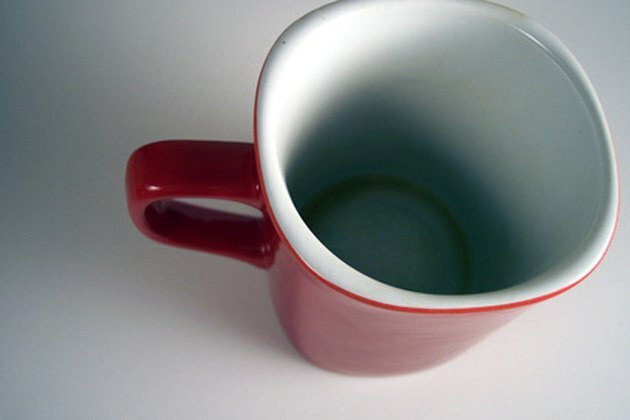 Wash the coffee mug each day and you will have a clean, attractive, and environmentally friendly alternative to using a wasteful Styrofoam cup.